It has a command line user interface so it is totally command based operating system. It has limited features to work with the modern computer system. 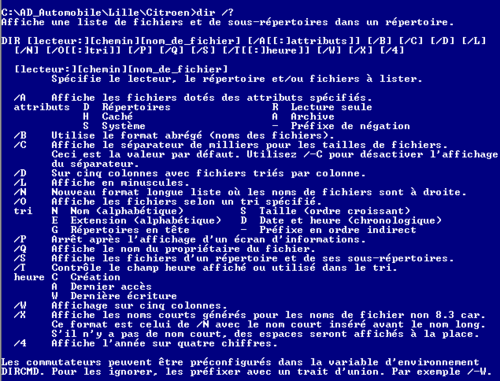 It is not so user-friendly like windows system and cannot support advance computer peripheral devices even mouse. It is a single user, single tasking operating system. Booting: The process of loading system files into computer's memory from disk is called booting. It starts when the computer is turned on. It makes computer ready to work. In the booting process, the command interpreter and system files are loaded into computer's memory. There are two types of booting: cold booting and warm booting. Cold Booting: Booting process from off stage to on stage of the computer is performed by the switch on the computer. Warm Booting: Booting process during the time of running the computer system is warm booting. We have to perform this process when the computer hangs up. We can perform it by pressing the reset button or pressing Alt+Ctrl+Del (Hold down the Ctrl key and Alt key and press Del key). File: The systematic collection of related data or information or program instructions is known as file. A unique name is given for each file to identify. Such unique name is known as a file name. A file name contains name and extension. The name helps to identify the file and extension helps to identify the type of file. Directory: Directory is the location to store files and sub-directories. It contains information about files stored on the disk like name, size, last date of modification, time of creation and disk volume label. Instructions given to the computer to work are called commands. These are the common words between the computer and the user. It gives the orders to the computer system to work. DOS Commands are categorized into two types: Internal and External commands. Internal commands: Internal commands are built in the COMMAND.COM files. It can be executed from any DOS prompt because each of the internal commands are memory resident. As long as the computer is running, we are ready to give internal commands. Some of the examples of internal commands are DIR, CLS, COPY etc. External commands: Commands that need external additional files with command.com are external commands. We need additional corresponding files to run these commands. For example, we need tree.com file to run tree command. Example: XCOPY, CHKDSK, LABEL, TREE etc. Internal command are built into the COMMAND.COM files. Commands that need external additional files with command.com are external commands. Example: XCOPY, CHKDSK, LABEL, TREE etc. 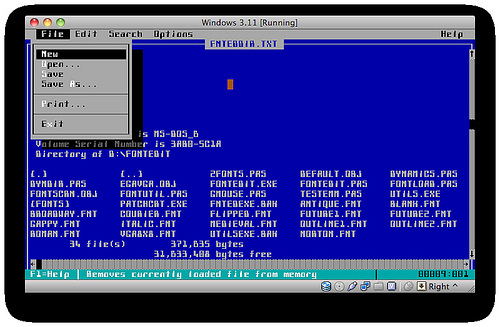 MS-DOS can be run on both hard disk and floppy disk. What is a file? Write any two rules of naming a file. A file is a collection of related information stored on a disk with a unique name for its identification. The file name should not have more than eight characters. External commands are not part of command.com. They have their own program file having extension as COM, BAT, EXE, etc.